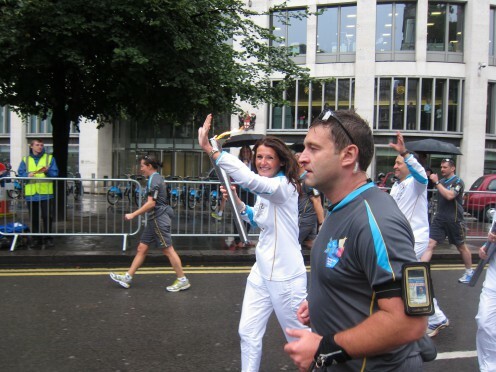 After a fairly disappointing rejection of the possibility of carrying the Olympic Torch, my dear friend Jen Woolfson was determined that I should participate in London 2012 in some form, so nominated me to be a Paralympic Torchbearer. Sainsbury’s who were one of the Torchbearer’s sponsors, telephoned about a month later to confirm my selection to carry the Flame in the overnight Torch Relay, somewhere between Stoke Mandeville and the Olympic Stadium. The summer came around very quickly with the whole of the UK adopting Olympic mania. The local media covered my story as they were keen to acknowledge anyone who was playing a part in the proceedings and I was also asked to appear on Dr Phil Hammonds BBC Radio Bristol Saturday morning show as a Dinner Guest. The hour flew by sharing Ryan’s story and on a lighter note, justifying my selection of dinner guests; Gary Barlow, David Beckham, James Corden and Princess Diana. Some would say shallow, but I was just being honest!! I also selected two songs. Take That – Rule the World- which is exactly how I felt about our family unit before we lost Ryan and Bruno Mars – Just the way you are – which I dedicated to our daughter Charlotte, who is just amazing and has shown strength and courage well beyond her years and just sparkles – inside and out! 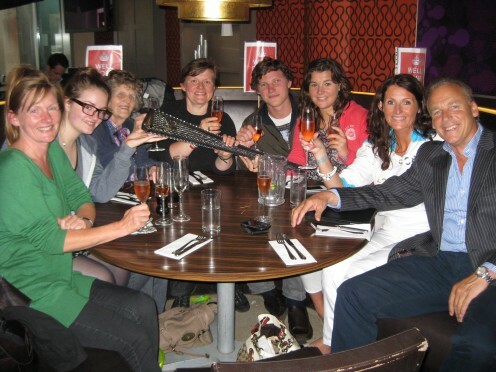 With a great build up from watching the Olympics we travelled to London and enjoyed an overnight stay with the opportunity to meet the other 624 Torchbearers, courtesy of Sainsbury’s. Everyone had their own special story and it was an honour to be part of the team. The next day we were transported to The South Bank and given our instructions for the day and just had to wait for Team 19’s slot! Time was passing slowly, the rain started to fall, but spirits were high as we eventually travelled to our location on New Fetter Lane in our Paralympic tracksuits. 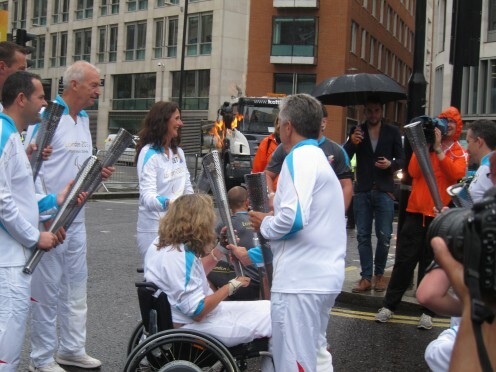 The streets were filled with hundreds of supporters who had been waiting for hours to see the Flame…. and us – I felt like a celebrity! I wanted to savour every step of our half mile stint but was also eager to get sight of my wonderful family waiting in the crowds. In their usual supportive style, they had made flags with my name on and had run up to where my ‘leg’ began, sharing the journey with me! They were cheering me on to the point of Charlotte nearly being arrested for running on the road! My heart was racing. My feet wanted to skip when it was my turn to hold the torch and I knew Ryan was with me every step before ‘kissing’ John Snow and passing the torch to Team 20. I was soon reunited with my family after travelling on the tube with my torch (thank you Sainsbury’s) which took a while as was stopped for photos etc.! !We had a lovely meal and I felt so so emotional that they were there to share my experience. My eternal thanks to my Mum, Sal, Mary, Rhi, Max, John and Shims for making my torch bearing even more special. It was without debt one of the best days of my life. That said, I wish more than anything that I wasn’t doing anything to warrant such an accolade and my gorgeous Ryan was still there to touch. But I know he was proud of me that day as I always was of him.